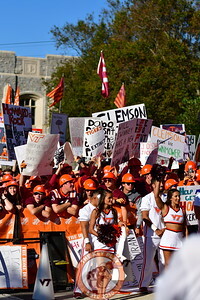 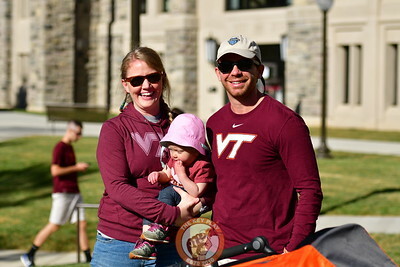 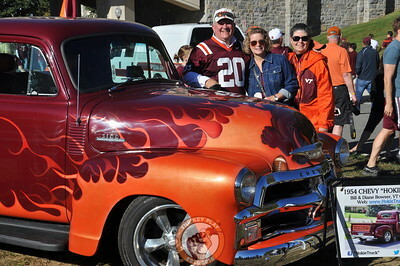 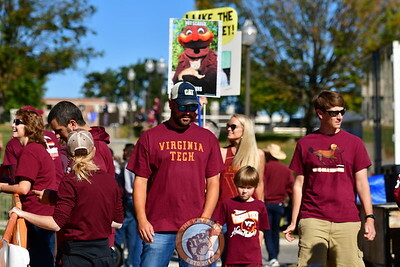 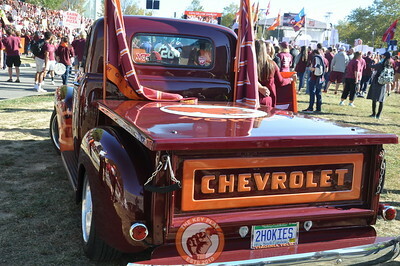 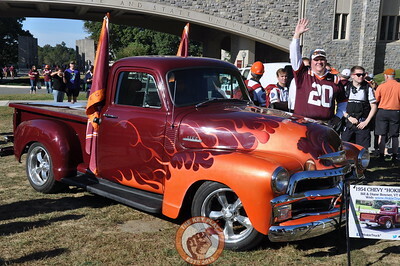 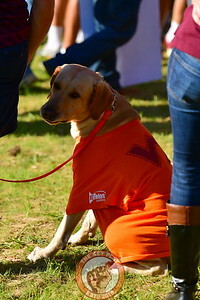 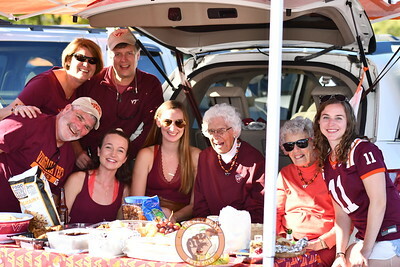 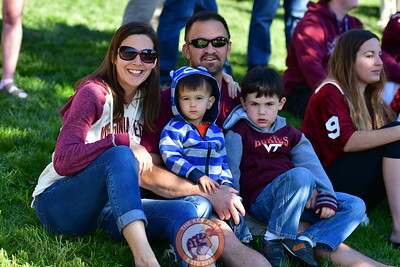 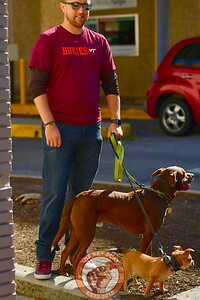 Faithful Hokie Pup, all dressed up for College GameDay! 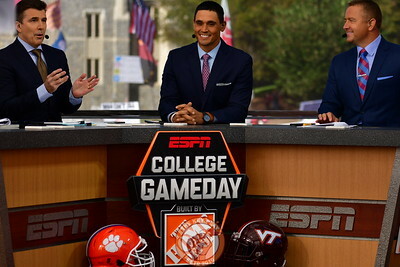 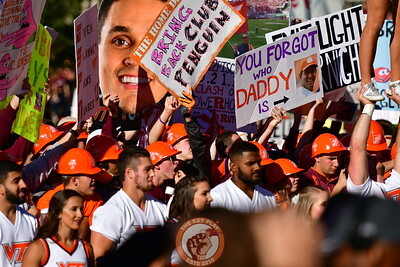 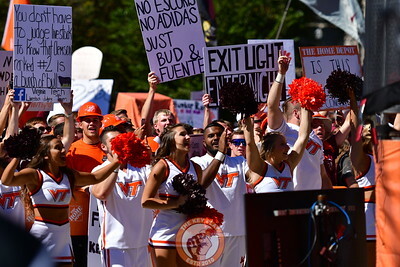 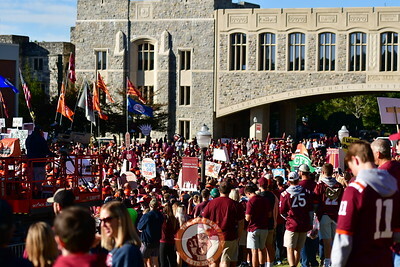 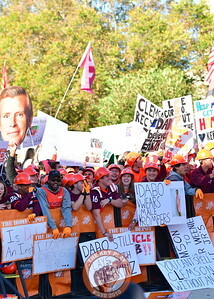 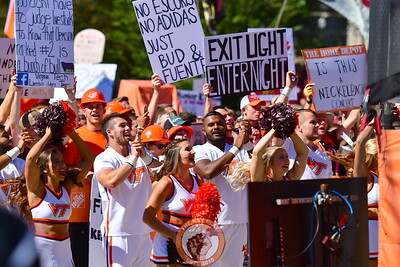 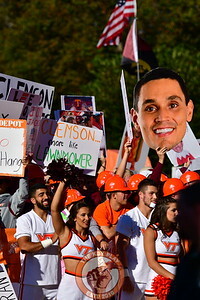 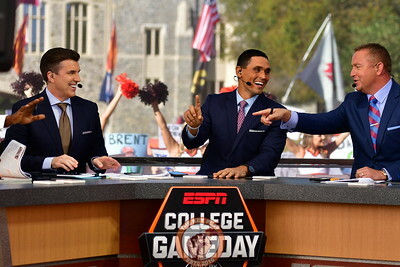 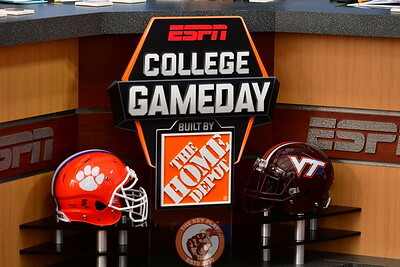 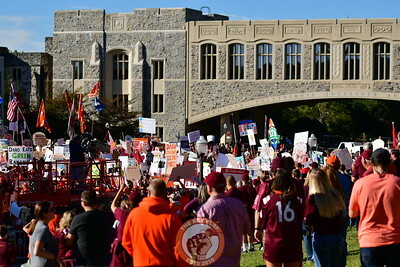 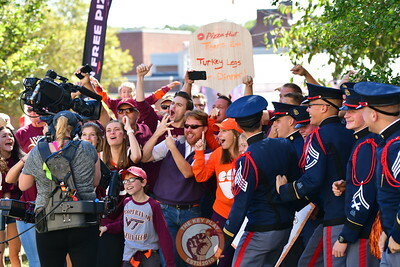 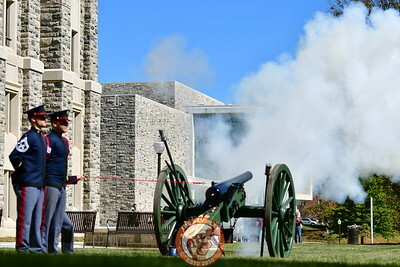 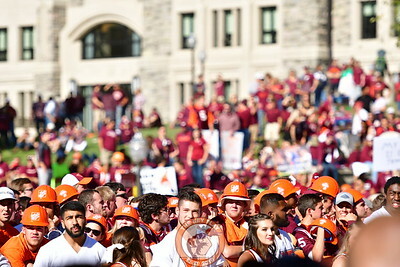 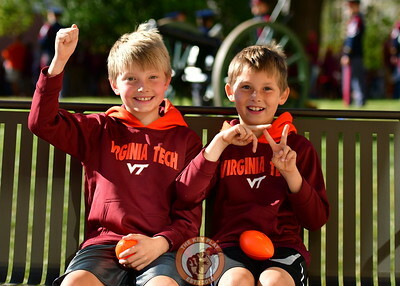 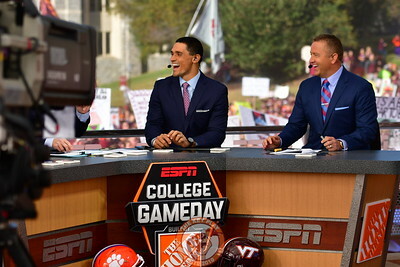 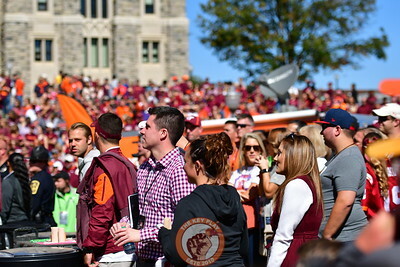 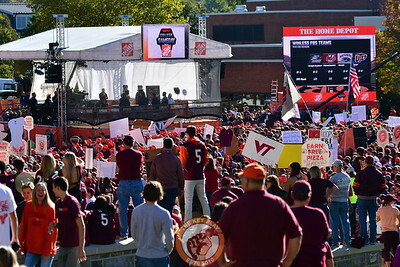 College GameDay's Rece Davis, David Pollack and Kirk Herbstreit discuss VT Clemson game! 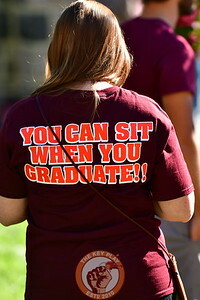 You Can Sit When You GRADUATE! 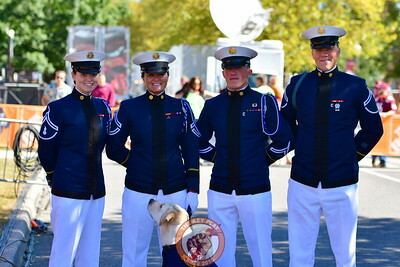 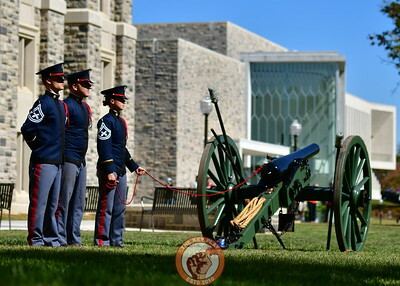 Growley II, a 3-year-old yellow Labrador, is the canine ambassador for the Corps of Cadets.